OnePlus 5T and 5 are smartphones from 2017, which will also get Android Pie. The manufacturer has promised it earlier this year. Now, eager owners of these phone models can try the software through Open Beta testing. What can new users of these smartphones count on? Android Pie is one thing, but the OnePlus 5T and 5 smartphones, along with the new software available under Open Beta, will also get other new products. Among them is a new mode do not disturb or new options for the weather. Below you will find a list of changes. 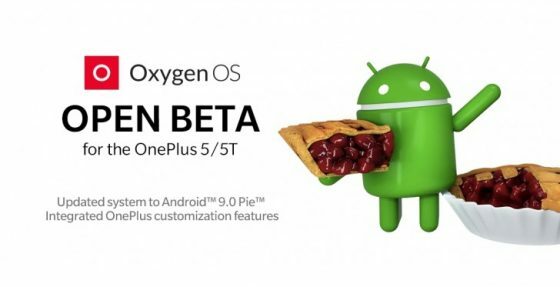 For now, it is not known when the final version of Android Pie for the OnePlus 5T and 5 smartphones will be ready. Beta tests will take a while. If you own these phones and do not want to take part in the beta, then you have to be patient. The final software should be ready in early 2019.